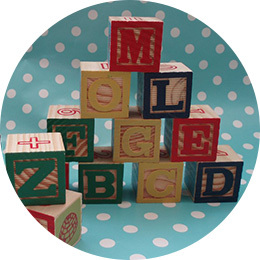 Learning to read is an incredibly complex and taxing task for little ones. Their brains are growing and stretching to recognize letters, sounds, words, meaning, and context. It is a rewarding, and sometimes frustrating, experience. Compounding what sometimes feels like a classroom competition are literacy urban myths—like the genius three-year-old who can read at a fourth grade level—that can set the bar intimidatingly high. On the flip side, parents are bombarded with panic-driven and opportunistic marketing campaigns for toys and games that make miraculous claims (often with little results). All parents want to support and facilitate the best learning experience for their child and that includes being able to detect and correct any struggles that may come up. Reading issues can be brought to a parent’s attention in different ways, and oftentimes, it is a teacher or caretaker who first notices that there may be a challenge to surmount. Even parents who are very in-tune with their child may be surprised to learn that their child is a struggling reader. When was the issue first identified? How often does the child run into this issue? Have there been other red flags in class (like behavior issues)? Have alternative teaching methods been introduced? What are the next steps in terms of research and assessment? The golden rule of children’s literacy is simple: read every day. 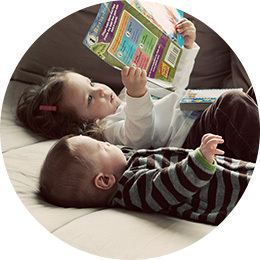 Engage your little one in a book whenever possible. Ask them to pick their own bedtime story, identify familiar characters and, for simple texts, prompt them to complete sentences. Make that time enjoyable, not stressful, for both of you. If your child feels like reading is a punishment or chore, he or she is sure to resist. Introduce plenty of silly nursery rhymes and songs during the day, and incorporate brain-stimulating toys like puzzles, flashcards, and magnetic letters. The “real world” is full of opportunities to spot letters and numbers, like stop signs, grocery aisle numbers, and digital clocks. Hooked on Phonics is another effective tool to help struggling readers—both in book and app form, depending on what’s more effective for your child’s learning style. Each lesson takes 20 minutes or less and offers a fun, interactive activity to help you mix up your child’s reading routine. You’ve read and rhymed your heart out, and you still can’t see progress in your child’s reading abilities. So what now? Create a support group for your little one and your family: Check in with your child’s “team”—teachers and caretakers, in particular. 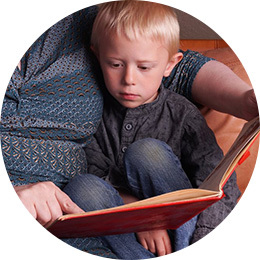 Share your concerns and formulate a plan to get your child extra help and attention during reading time. From there, make an appointment with your doctor, who can recommend channels for proper testing for ADD, ADHD, and dyslexia, if necessary. It’s easy to jump to a conclusion about learning disabilities, especially after spending 20 minutes on Internet comment boards. But there is no need to panic as resources and support are available. Your child has the best advocate in their corner—you. Simply continue to foster a love of reading and learning, one day (and page) at a time.